The Best Brightening Serum For All Skin Types. 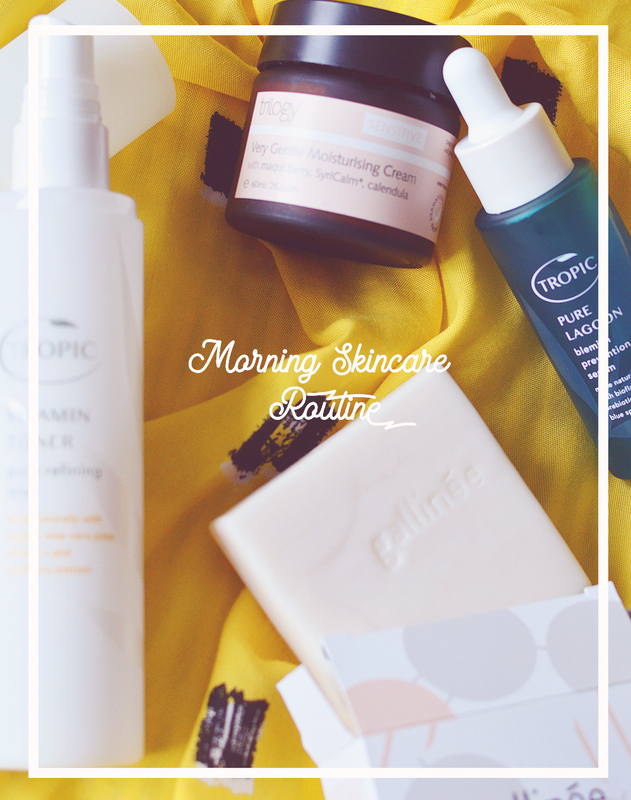 Who doesn't love a little bit of a brightening boost in their skincare regime? I sure do. 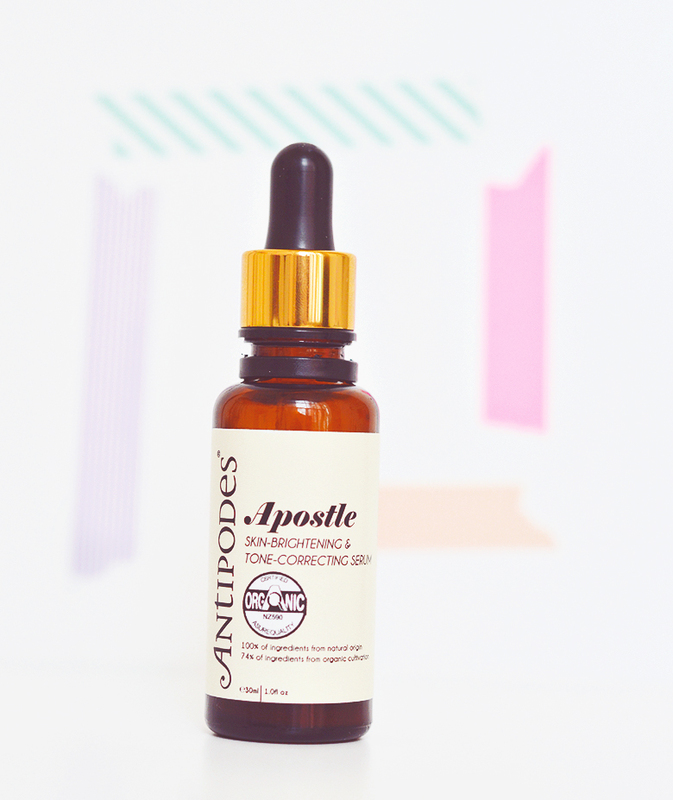 I've been using this Antipodes Apostle Skin-Brightening & Tone-Correcting Serum (£35) now daily for at least 5 months and am just about to use up the very last few drops so I felt it was now or never on the review front! I try not to regularly review individual products in case it's a little boring, but there are always exceptions to this little rule. Before I finally got my mitts on it, I had wanted to try the Apostle serum for so, so long, probably even before I switched over to natural beauty. At the time the price put me off, but strangely now it doesn't seem that expensive, perhaps it's because my taste has gotten a little more expensive and I'm used to seeing serums that are well above £50. Terrible, I know. A lot of brightening serums I see nowadays are oil based and it's been a refreshing change to have a serum in my routine that is water based. This isn't as potent as an oil-serum but I really don't mind at all as being water based I can use generous amounts morning and night without fear of overloading my skin. For the longest time I wasn't sure that this serum was doing anything at all - mainly because my skin has been awful, but then one day I noticed that a really terrible cluster of scars I had on my cheek had faded to the point that I didn't need extra concealer to hide them anymore. I spend a lot of time focusing and fretting over the active acne and any recent scars that I just don't notice how much my skin has improved in the last 2-3 months. The Apostle serum has been the only consistent item in my skincare regime for last few months, and whilst I've also been using some other fab things on and off that increase cell turnover, nothing as consistent or as long term as this fruity little number. The Apostle serum uses kiwi enzymes and gluconolactone (a hydrating polyhydroxy acid that's more gentle that AHA or BHA and provides some UV-radiation protection) to very gently exfoliate, mamaku black fern extract and reishi mushroom aid in cell renewal whilst vinanza grape extracts soothe, minimize facial redness and melanin production. Antipodes also claim that the "Artisan" water they use delivers beneficial nutrients to the skin - I'm not sure how true that could be, but okay. 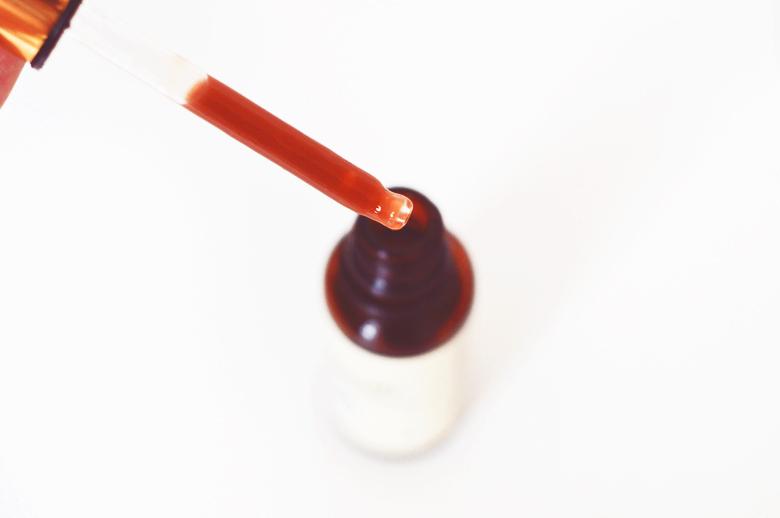 As you can see from the image above the serum is actually red in colour and (though you can't tell this from the image) has a delicious fruity scent and thick-ish texture - it's not too runny but not a gel either. It doesn't colour skin at all and sinks in quickly and easily. I tend to use this mainly in the mornings, I mix a good pea sized blob with a drop of facial oil and massage into skin, sometimes I follow with a moisturiser, sometimes I don't. I like mixing it with the Josh Rosebrook Tinted Nutrient Day Cream, too, which I find quite thick and this just helps it apply so much easier. Overall this is a really lovely serum that I will definitely buy again in the future. It's not super potent and you won't see instant results but give it a month and I think you'll be pleasantly surprised - it's the tortoise, not the hare that won the race after all. The gentle exfoliating action, hydrating formula and soothing ingredients make this a winner for me. Well done, Antipodes. Aqua (Waiwera® artesian water), aloe barbadensis (aloe vera) juice extract*, cyathea medullaris (mamaku black fern) leaf extract, gluconolactone, sodium benzoate, amigel (sclerotium gum), vitis vinifera (Oxifend® sauvignon blanc and pinot noir grapeseed) extract, xanthan gum, vitis vinifera and actindia chinensis (Vinanza Performance Plus® sauvignon blanc grapeseed and kiwifruit) extract, actinidia chinensis (Vinanza Kiwi®) fruit pulp extract, rubus idaeus (raspberry) oil, gando- derma lucidum (Reishi mushroom) extract, essential oil fragrances of green apple and cardamon: benzyl alcohol†, cinnamal†, citral†, citronellol†, geraniol†. † Component of essential oil. * Certified organic ingredient.